Composer Frederik Wiedmann (FIELD OF LOST SHOES, JUSTICE LEAGUE: GODS AND MONSTERS) is proud to announce the release of SPECTRUM - Original Motion Picture Soundtrack digitally on July 7, 2015, with all proceeds going to Autism Women's Network. The album was orchestrated by Hyesu Yang and mastered by Damon Tedesco. Spectrum combines live action and animation to explore the inner sensory experience of autism. While autism is largely regarded as a social disorder, Spectrum reveals the underlying sensory differences that create an autistic perspective. Sensory issues create a world where vision, sound, touch and smell can be intense. The story is a series of character driven portraits beginning with Temple Grandin, the most well-known autistic adult in the world. Other characters include poet Tito Mukhopadhyay, artist Judy Endow, martial artist Nick Walker, and a group of young, energetic children. Rather than fearing autism, Spectrum seeks to understand it. 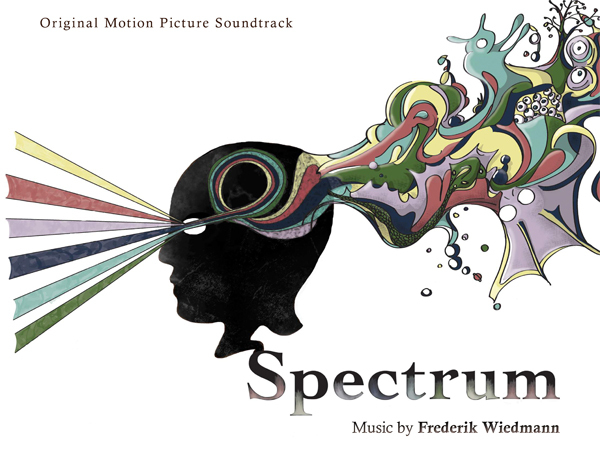 The SPECTRUM - Original Motion Picture Soundtrack will be available digitally on July 7, 2015, with all proceeds going to Autism Women's Network. The film is now viewable at https://vimeo.com/ondemand/spectrumthefilm. A friend of ours, offers up something special and it's important to share!